FREE delivery to United Kingdom in 6 - 8 weeks. 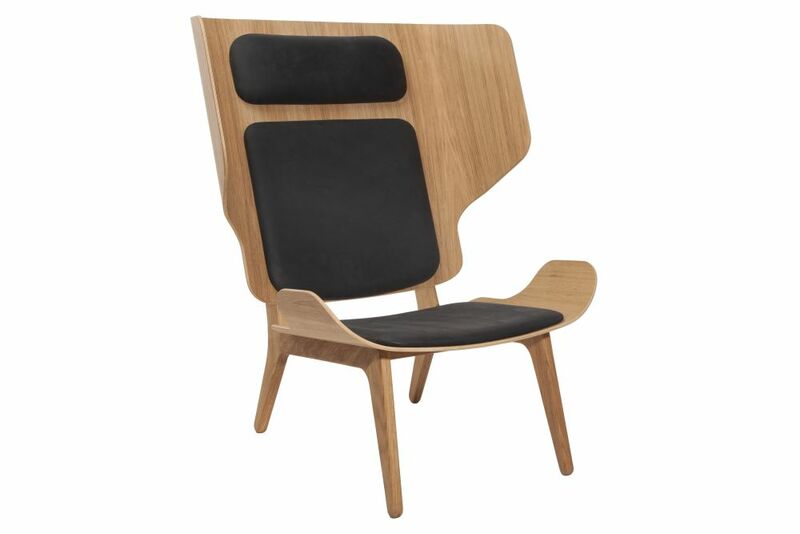 The Mammoth Chair is hand-crafted with a solid oak wood frame. The Fluffy variant has an upholstery of Washed Canvas, Wool or Vintage Leather and the Slim version comes with cushions upholstered with Vintage Leather. The Mammoth Chair is a modern winged armchair, with the seat and back formed via compression molding. The specific technique used for cutting this form gives this chair its signature. Using a simplified production method, with a focus on creating a clean and minimalistic chair, the Mammoth is both iconic and a comfortable piece of furniture. At NORR11 we strive to rethink Scandinavian design in order to create timeless furniture pieces. We seek inspiration from nature and raw materials, which is evident in our products that often redefine materials, techniques and forms. Fusing together cultures from around the world with simple Scandinavian design principles, we generate a unique perspective on furniture design. Our name stands for our Nordic heritage and the day it all began, the 11th of November 2011. Welcome to NORR11.